Primocane-bearing blackberries produce berries in the first year, extending fruiting season. The first-ever cost study of primocane-bearing blackberries in California has been published by UC ANR's Agricultural Issues Center and UC Cooperative Extension. With primocane-bearing, growers can extend the blackberry production season. “What differentiates primocane-bearing blackberry from the traditional floricane-bearing is that it bears fruit in the first year rather than the second,” explained co-author Mark Bolda, UC Cooperative Extension advisor. The study presents sample costs to establish, produce and harvest primocane-bearing blackberries in the Central Coast Region of Santa Cruz, Monterey and San Benito counties. The analysis is based on a hypothetical well-managed farming operation using practices common to the region. The costs, materials and practices shown in this study will not apply to all farms. Growers, UC ANR Cooperative Extension farm advisors and other agricultural associates provided input and reviewed the methods and findings of the study. This study assumes a farm operation size of 30 contiguous acres of rented land, with primocane-bearing blackberries for fresh market planted on 15 acres. The crop is hand-harvested and packed into 4.5 pound trays. During the establishment year, there is a four-month harvest – July through August. 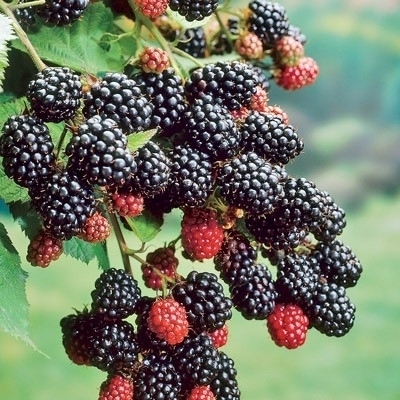 Primocane blackberries can produce fruit on first-year growth. There is also a four-month harvest for each of the four production years. The authors describe assumptions in detail and present a table of costs and returns based on those assumptions about production, input materials, prices and yields. A ranging analysis shows the impact on net returns of alternative yields and prices. Other tables show the monthly cash costs, the costs and returns per acre, hourly equipment costs, and the whole farm annual equipment, investment and business overhead costs. The study also has an expanded section on labor, which includes information on California's new minimum wage and overtime laws.